Area 51, flying saucers from another world - and the program to create a fierce technology. Bob Lazar has lived a wild life. He remains the singular most famous and controversial name in the world of UFOs. 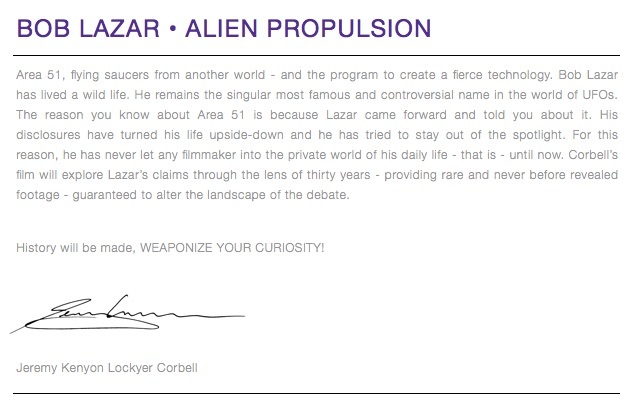 The reason you know about Area 51 is because Lazar came forward and told you about it. His disclosures have turned his life upside-down and he has tried to stay out of the spotlight. For this reason, he has never let any filmmaker into the private world of his daily life - that is - until now. 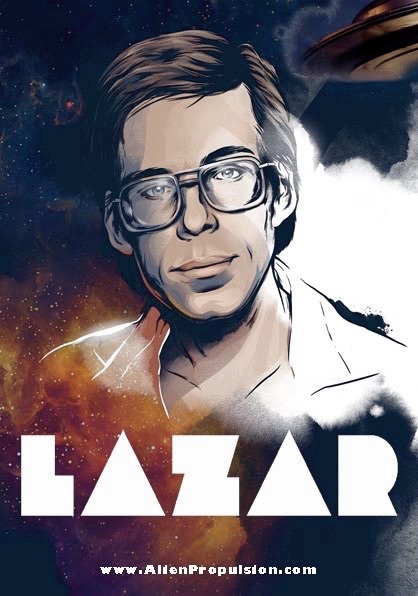 Corbell’s film will explore Lazar’s claims through the lens of thirty years - providing rare and never before revealed footage - guaranteed to alter the landscape of the debate. History will be made, WEAPONIZE YOUR CURIOSITY! 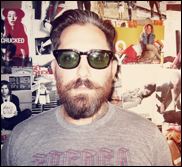 Artist, filmmaker and mixed-martial athlete. Corbell has a passion for all things extra-ordinary.